For the first time, the 2018 IECC clarified that solar energy is allowed in the calculation of the ERI score, as long as the home still meets minimum insulation levels. Simultaneously, the 2018 code raises the ERI scores to make them easier to meet, a change requested by homebuilders. These two changes, taken together, made the ERI path more viable but less energy efficient. As a result, a broad range of stakeholders, including two national home building trade associations and the national solar trade association, negotiated an agreement to maintain reasonable insulation levels to protect occupant comfort and health, so that efficiency wouldn’t bear the full brunt of the solar trade-off. In the IECC’s 20-year history, the 2018 version is the most flexible and fair code for homebuilders and the solar energy industry. In fact, the ERI compliance pathway stems from requests from homebuilders for more flexibility, and solar energy’s inclusion stems from requests from the solar industry. The 2018 IECC is the only solar-friendly edition in the history of developing the IECC. Without the 2018 updates, solar energy providers and homebuilders each would have remained disadvantaged – so rather than try to amend the code piecemeal at the local level, they should embrace the 2018 requirements. Some homebuilders and solar energy companies question why the 2018 code requires new homes with solar PV systems to have higher levels of insulation than homes without solar energy – but that concern is flawed in the big picture. The answer comes down to the fact that solar PV and efficiency are *not* the same thing and do not have the same impacts on energy usage. The 2018 IECC is written so homes, both with and without solar PV, will still achieve decent overall efficiency and consumer bill savings. When pressed, some solar energy and homebuilding companies complain that they’re particularly vexed by ceiling insulation requirements. (In the Southwest, for instance, the 2015 IECC calls for R-49 insulation – which is what solar-powered homes sometimes must have to comply with the 2018 IECC -- but the 2009 code only required R-38 – which is what the 2018 IECC allows for homes without solar PV.) But the energy code already allows homebuilders to install R-38 in colder climates if they follow other provisions, called the prescriptive pathway. They do not have to install R-49, as they have complained. 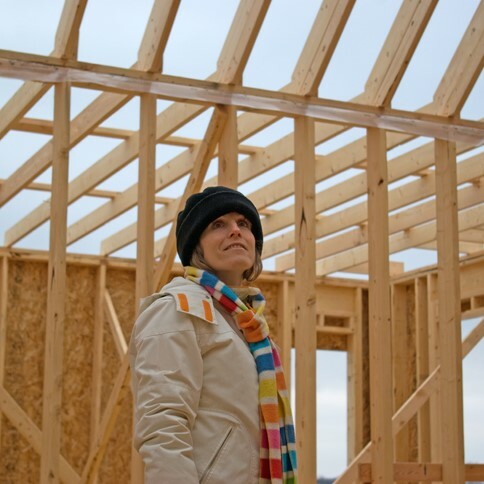 In fact, a homebuilder can use the prescriptive, alternative, or the simulation path to reduce insulation in the attic. Thus, claims that ceiling insulation values are unfair are off-base – because the 2018 IECC offers many ways to comply with the code. Communities in Northern Nevada and Southern Arizona have said “no” to trading off weaker efficiency requirements in exchange for rooftop solar energy systems. Outsiders may scratch their heads about this debate, but while discussions about energy codes quickly get into the weeds, the codes are for the most part understood by those who work in the building industry. Although the changes in the 2018 IECC were agreed to and supported by the solar industry, the homebuilders, and local building officials, each segment of the industry sees different parts of the code as more important – sometimes forgetting to consider the code as a whole. The bottom line: the 2018 IECC is best for consumers while also being fair to the solar energy industry and homebuilders. Just say “no” to proposals that weaken the efficiency in the IECC.